Ok, kind of a lame title, but it's Friday so I get a pass, right? I've presented (and written) on IndexedDB over the past few years, but it isn't something I've really worked with, or demoed, lately. There's been some interesting updates related to the technology though so I thought I'd share some news about IndexedDB. Now may be a great time to take a look at it again. Another update related to support is that Chrome added support for Blob data. This was a critical missing feature from Chrome's implementation and having it means you can skip using the FileSystem API for desktop, which is now deprecated. 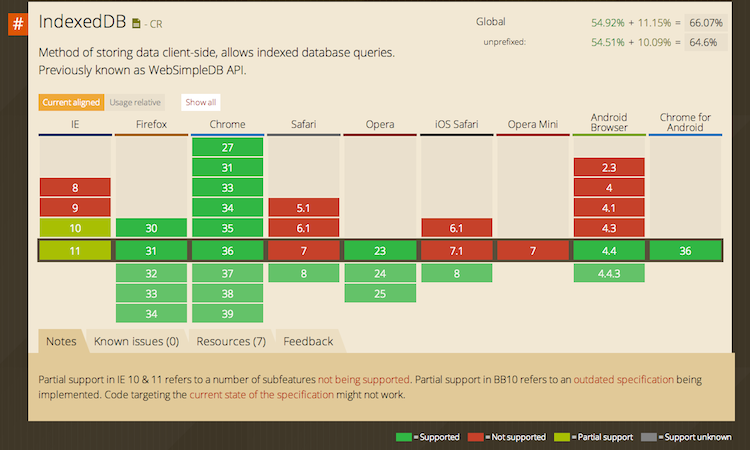 You can read more about it over at HTML5 Rocks: Blob support for IndexedDB landed on Chrome Dev. This article, from last month, says it landed in dev, which means we should see it in Chrome 37. So... support is decent and getting better. 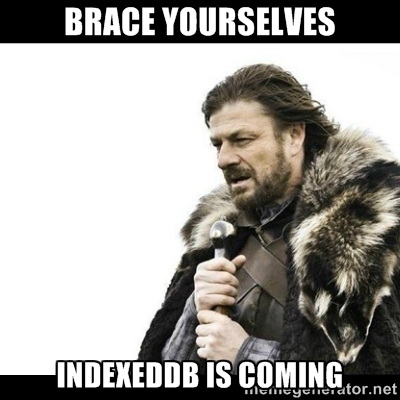 The flip side to that is actually using IndexedDB. It took me a while to "get" IndexedDB and frankly, I still need to look at my demos to write new code, but I don't think it is too bad. That being said, it isn't the friendliest API in the world. There's some good news on that front as well. 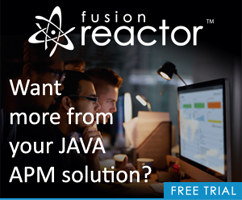 There are probably more out there - but obviously developers are discovering IndexedDB and deciding they need a simpler interface. Another resource I'd check out is this excellent article on MDN: Breaking the Borders of IndexedDB. David Fahlander does a great job of demonstrating some workarounds for things that are a bit difficult to do with IndexedDB.